All good managers working in sport need to have a clear understanding of the principles of finance and accounting. Whether working in the private, public or voluntary sectors, a firm grasp of the basic concepts and techniques of financial management is essential if a manager is to make effective decisions and to implement those decisions successfully. 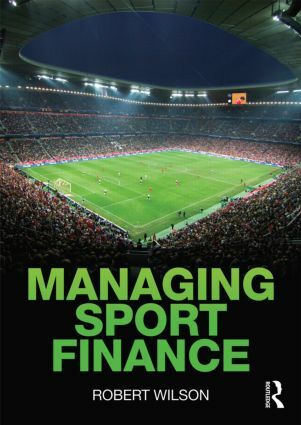 Managing Sport Finance is the first book to offer a comprehensive introduction to financial management and accounting specifically designed for managers working in sport. Using a rich variety of case studies, examples and data from the real world of sport management, the book places each concept into a managerial context, ensuring that the reader understands why that concept is important and how best to employ each technique. Each chapter also contains a range of useful features, including chapter introductions, learning objectives, activities, summaries, review questions and further reading. This is the most useful, comprehensive and accessible introduction to financial management for sport currently available and is essential reading for any student of sport management or sport development. Robert Wilson is a Principal Lecturer in Sport Business Management at Sheffield Hallam University, UK. His subject specialisms are financial reporting, management accounting and economic decision-making in the sport industry, and his research interests are in the financing of professional team sport and the economics of major events. He is the co-author of Finance for Sport and Leisure Managers: An Introduction, and a recognised expert in learning, teaching and assessment in higher education.